In these high definition photos you can see a commemorative plaque for Guy Lecomte, which is part of a World War II Memorial located on the wall of the Jardin des Tuileries in the 1st Arrondissement of Paris. 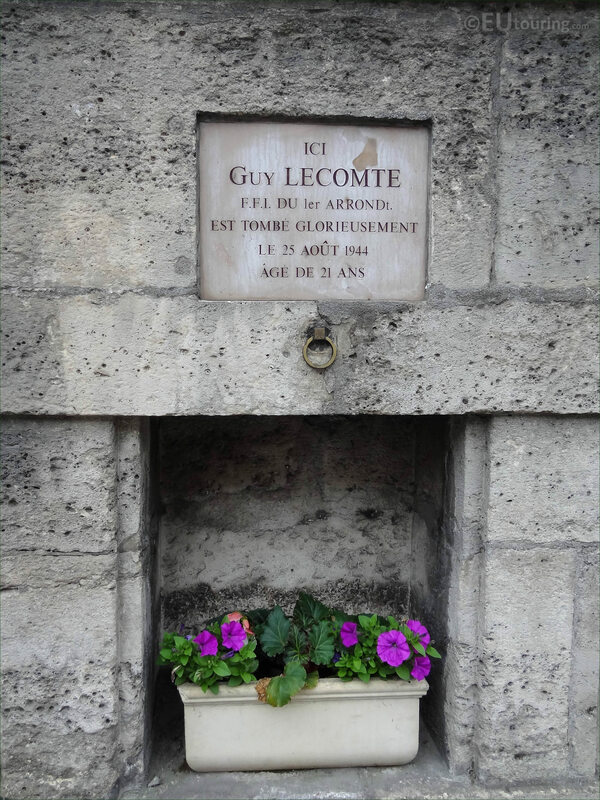 This first HD photo shows the commemorative plaque for Guy Lecomte and below this you can see a niche that has been put into the sandstone wall of the Tuileries Gardens, which holds a stone plant pot full of pretty flowers, and this is part of a set of ten that can be found on the Rue de Rivoli by the Place de la Concorde. 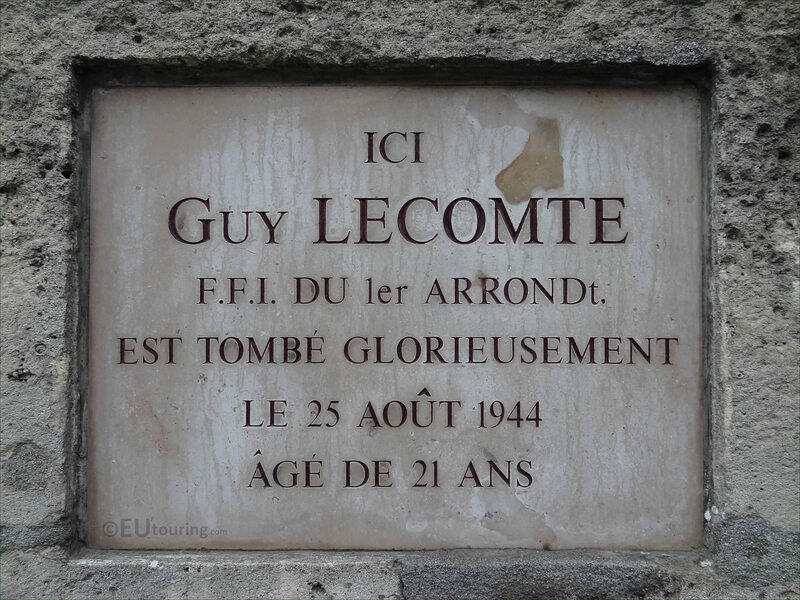 Yet this is a close up photograph showing the plaque itself, and in English this generally translates to, Here Guy Lecomte FFI of the 1st Arrondissement gloriously falls on the 25th August 1944 age of 21 years. And F.F.I. is short for French Forces of the Interior and this is the formal name that General Charles de Gaulle gave to the French Resistance Fighters in the latter part of World War II, who were instrumental in the war effort helping regular soldiers, and unfortunately Guy Lecomte died during the Liberation of Paris on the above date. If you would like to use any of these photos for non commercial use we only ask that you please do include recognition to ourselves "eutouring.com", but if you are not sure with regards to usage, please contact us.